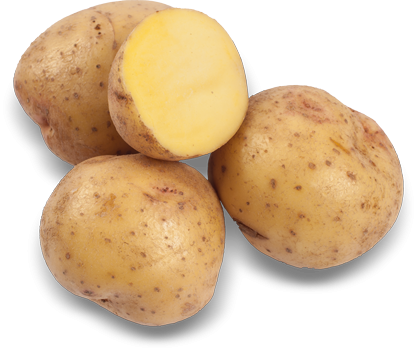 Yellow Potatoes are named for their waxy yellow flesh, covered in a light brown skin with shallow eyes. These round potatoes are comparable in size to white potatoes and are excellent for baking, roasting and mashing. Try these colourful spuds in your next potato salad for a colourful, delicious twist.